You love cycling and want to spend a weekend in the countryside? Krk Bike Story is the perfect combination of active holidays in nature and gastronomic delights! Therefore, spend a weekend on the island of Krk! The island of Krk provides a unique opportunity for rides all the way from the sea to the Moon’s surface! Krk Bike Story includes two three-day stories that combine cycling and gastronomy over two weekends, one in April and one in May. Connect with the unique nature of the island of Krk and its rich cultural and historical heritage! During the ride, at some predetermined locations, cyclists will encounter the unique flavours of the island of Krk. In addition to seafood specialties and traditional island specialty šurlice, there will be some spring delicacies such as asparagus, lamb and Krk’s cheese, combined with drinks from local herbs and indigenous white grape variety žlahtina. Get to know the local flavours that guarantee you an extraordinary gastronomic experience! 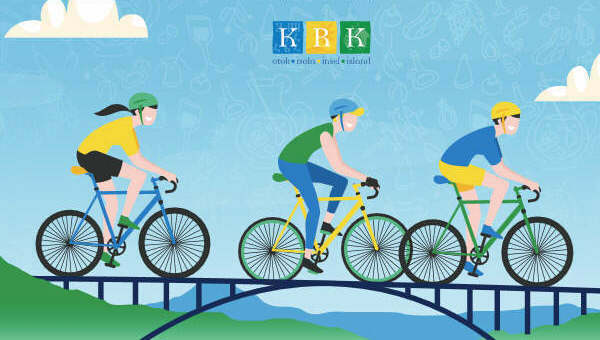 The network of Krk walking and cycling trails has been systematically maintained and marked and today it spans around 300 kilometres, and if you add road routes, the number of kilometres available to cyclists is doubled. With the help of the new island bike map, which combines all parts of Krk, excellent time is guaranteed! You will definitely find useful the KRK BIKE application that allows you to search for bicycle routes by category and offers GPS navigation. Now you just need to choose a perfect accomodation and your spring break can begin!